Hello guys, I am OkapiLips and I am doing a series of guides for new players as we have just got the Global Launch! Today, I am going to cover a very helpful topic for all new players, it is how to build up effective teams. I am not going through any specific team composition. Instead, I will give you a mindset for picking choosing decent team compositions for all game modes in Brawl Stars. For specific best brawlers for each mode, I strongly recommend you taking a look at the Brawl Stars Tier List. In this section, let’s take a look at some specific classifications of Brawlers so you can understand the game terminology. If you are familiar to this already, you can skip this part. Example: Jessie, Pam, Poco, Crow, Tara. Sustained: Brawlers that deal high damage but less per shot, has fast reload speed. Single: Can target only one Brawler at a time. AoE: Any skill that has area of effect. Fragile: Low HP, need to dodge more than the others during the battle. Moderate – Brawlers that have enough HP to focus on dealing damage without dodging too much. Tank: Brawlers that have very high HP, can take a few hits directly to protect the teammates. 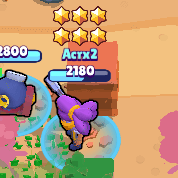 Example: El Primo, Bull, Frank, Pam. Close Range: Brawlers that have very low attack range or need to be close to deal decent damage. Example: Bull, Shelly, El Primo, Pam etc. 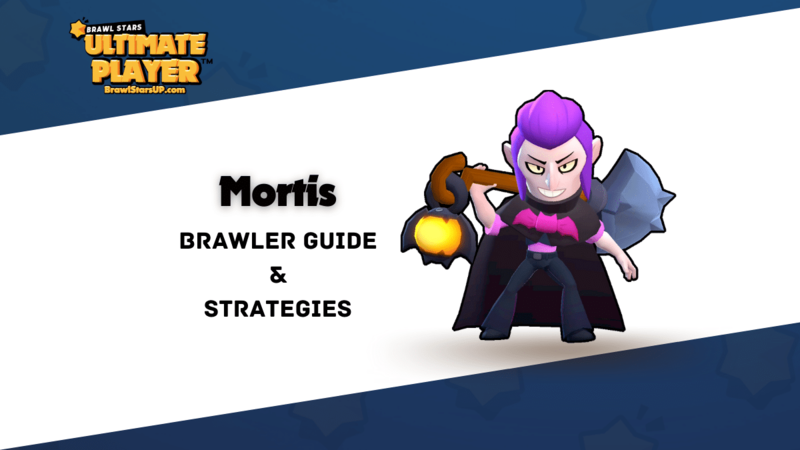 Mid Range: Brawlers that have decent attack range and don’t have to be too close to the enemies. Examples: Nita, Colt, Bo, Jessie, Penny. Long Range: Brawlers that have very good attack range, even off the screen! Narrow: It’s hard to aim the enemies while using these Brawlers. Regular: Most brawlers have this same movement speed. Fast: Great for chasing targets. Very Fast: Great at dodging shots and kiting the enemies. Click the I button on the top right corner of the event menu. 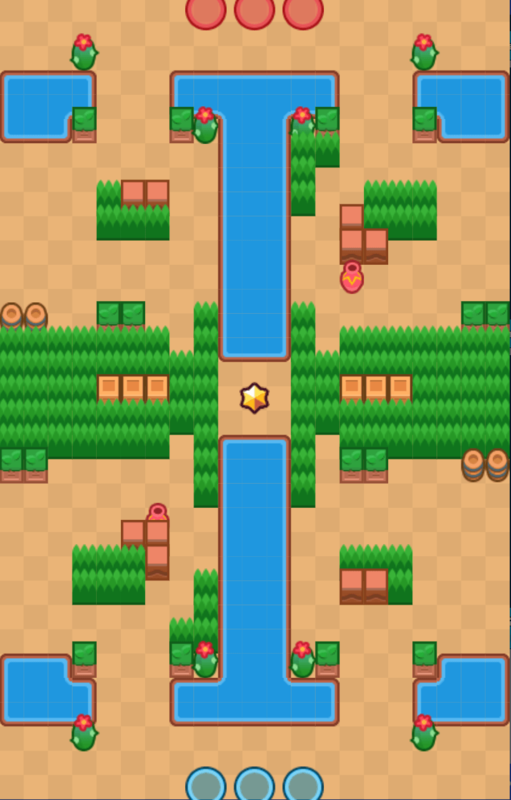 Visit our Brawl Stars Maps page. There are a lot of differences between the maps in game. Which also means why same teams and brawler wouldn’t be as effective on other maps. 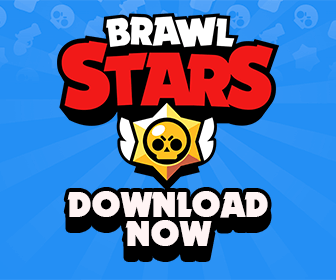 In this section, I will cover the most important features you should look for and how to pick the best brawlers based on them. 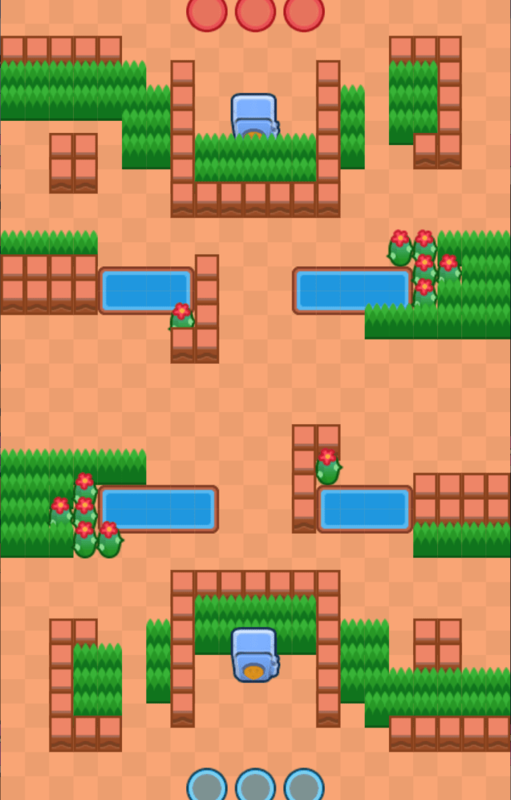 If the map has lots of bushes, close range Brawlers are very good in this map because they can hide in the bushes and ambush the enemies. This is especially good with maps that have bushes in the center. Brawlers that have wide spread attack are useful in maps like this as they can attack multiple targets at the highest traffic area on the map, the center. Brawlers that can do chip damage are even better as the open areas usually allow you to harass the opponents with ease. They also cannot run to the covers quickly. In these maps, people usually get clumped up close to each others. This, this kind of map is especially good for Brawlers that have AoE or penetrating attacks. They can spam attacks at the choke points for fast damage. Throwers are great in this kind of map as they can stay safe behind walls and throw attacks over the walls. Some maps with horizontal walls even allows the others to be always in range of throwers. The maps that have vertical walls usually create lanes that make people move in straight lines. 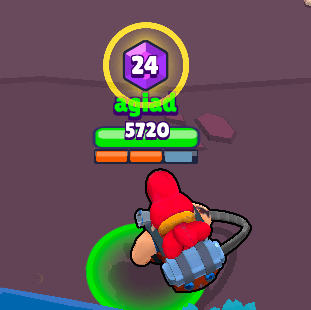 This kind of map is excellent for long range Brawlers like Colt or Brock or Ricochet, helping they do insanely high damage with ease. 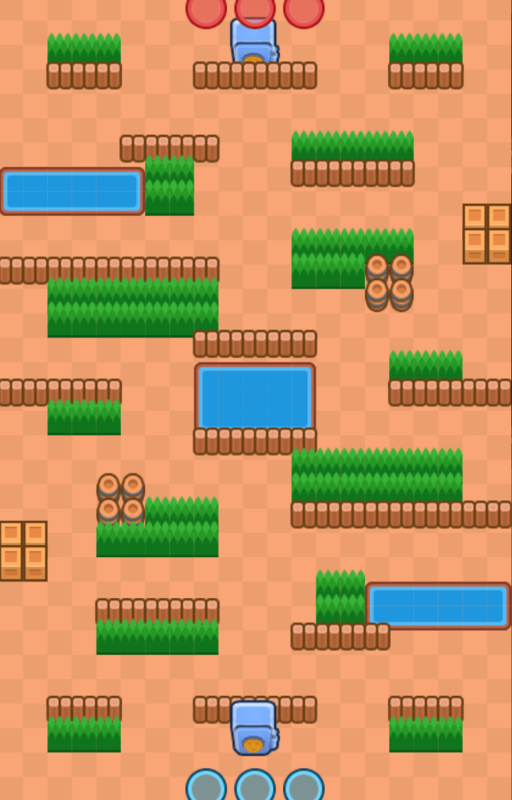 This kind of map is great for Brawlers with Super allowing them to jump over the water, creating some incredible plays. Mid-range Brawlers can shoot across the water safely. In this kind of map, there are lots of specific spots that are well covered by the walls. In this case, you want to use Brawlers that can destroy the walls with their Supers. Different game modes have different best Brawlers. This is due to the classifications I mentioned at the top of this article. A Brawler could be the best in a mode but could also be the worst on some other modes. Again, for specific Brawler list for each mode, I strongly recommend you taking a look at the Kairos Tier List. Gem Grab = Gem Grab + Support DPS + Map Controller. Bounty = Burst Damager + 2 Support DPS. Heist = Designated Safe Damager + 2 Support DPS. Brawl Ball = Ball Carrier + Support DPS + Map Controller. Let’s talk more about the roles I mentioned in the previous section here. 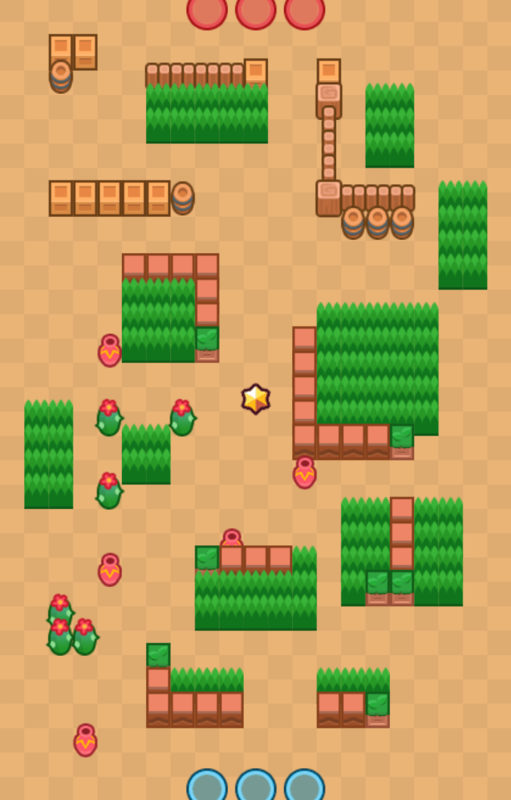 Ideally, the Gem Carrier’s main objective is to collect Gems spawning at the center of the map and to do the best to protect the Gems. 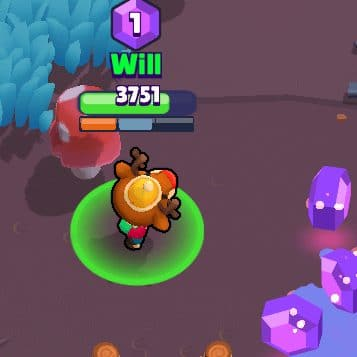 Mid to long range Brawlers are good at being Gem Carrier as they can attack the enemies from a far distance and stay away from the fights. Having high HP and Super allows them to escape is a bonus point. Most of the time, you want to use Brawlers that have chip damage, wide-spread attack the abilities to help them survive easier than the others. Usually, Map Controllers should be able to attack multiple enemies at once. They usually have Supers that can disable the enemies or can deal insanely high damage to a large area, helping the team to make a comeback after a well-played fight. 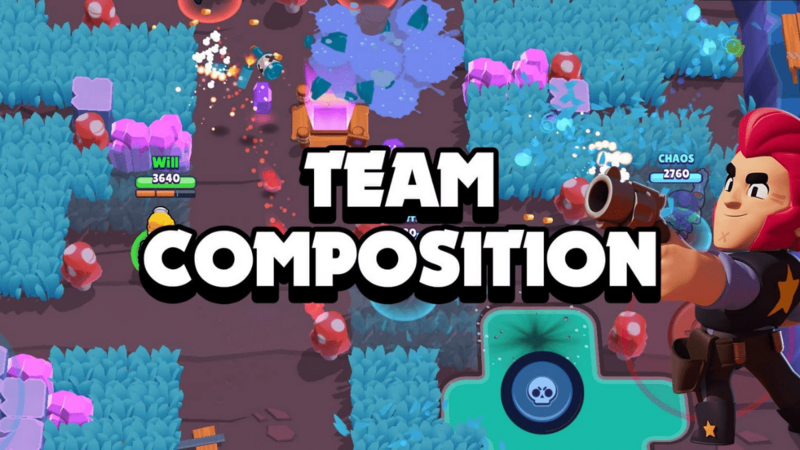 Their abilities should be able to allow them to play very aggressively, helping your team push the enemies back to their spawn zone. Brawlers that have consistent and high damage per second always bring a balance to their team. They are the best for the Support DPS role. They can help keeping the enemies at low HP most of the time during the battle while the others finding the opportunity to finish off the enemies. Support DPS is the core on defense. They can do insanely high damage quickly and ideally get most of the kills during the battle. Burst Damagers kill the enemy Brawlers before they can retreat to the safety. Burst Damage Brawlers usually have very long range with very high damage. In Heist, a member of your team needs to be the main damage dealer to the Safe, even when he/she has to repeatedly respawn for the objective. Brawlers that have very high damage up close and the ones can deal very high damage from a far distance are the best to be Safe Damage Dealers. Some Brawlers are just a lot better than the others at hold the ball and getting goals. Brawlers that have abilities to travel and get the goal fast are the best Ball Carriers. Don’t hesitate to comment what you wan to improve, add, agree or disagree with the guide to help us improve it a lot better! Gg. Will try this in a room.